Bake potatoes as normal, then allow to cool. Once cool, carefully scrape out the potatoes taking care not to damage the skins. Mix potatoes with the other ingredients. When mixed, stir fry in a hot pan or wok to which has been added some oil or butter. When fried, scoop into empty potato skins. Place into oven and cook for 20 minutes. Serve hot. When served, delicious. Many thanks to Jamie Thaxter, chef at Lincoln County Restaurant, for sharing this recipe. 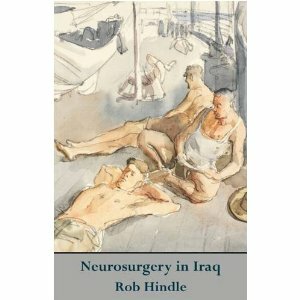 From the slim volume Neurosurgery in Iraq by Rob Hindle. you silent amid the noise. Outside the historic RBS branch at St Andrews Square in Edinburgh, Climate Campers perform “Oily Gaga” in protest over RBS’s dirty investments in Tar Sands projects. A protestor attempts to open a bank account but for some reason the branch is closed. More film footage at Climate Camp TV. Who Are The “Principal Environmental Extremists”? Climate Camp 2010: Twitter Backfires… or does it? Khwāja Šamsu d-Dīn Muḥammad Hāfez-e Šīrāzī (Persian: خواجه شمس‌الدین محمد حافظ شیرازی), known by his pen name Hāfez (1325/26–1389/90) was a Persian poet. Originally posted by Paulo Coelho on his blog. From the strange title or the cover illustration, it is not at all obvious what his slim volume is about. It is actually a collection of poetry, Neurosurgery in Iraq being the title of one of the poems. As I said, not at all obvious. A strange eclectic mix, from Spain in the Civil War to the illegal War in Iraq. A favourite My Father at the May Day Marches is very much Zen Haiku, though not strictly so. Valley of the Fallen Dogs is another favourite as is Mercenary Man Blues. The Royal Bank of Scotland was exposed as rotten to the core when it speculated in the sub-prime market, almost brought down the banking system and had to be bailed out with billions of pounds of taxpayers money. This had a knock on effect of causing the economy to collapse and creating a mountain of public debt, for which we are all paying, especially the poor, with savage cuts to public services. The bank is now accountable, is investing in small businesses the engines of any economic recovery, is helping to finance new and growing green and sustainable businesses which everyone recognises as the future? €2.3 billion has been invested in tars sands extraction in Canada. RBS is investing in brutal resource wars in Africa. $100 million to Tullow Oil for drilling on the border between Congo and Uganda. So far 15 million people have been killed in the resource wars between these two countries. Tullow Oil together with their partners Heritage Oil have been arming both sides in the conflict. RBS is financing Cain Oil to drill in the Arctic. The CEO of Cain welcomes global warming as more ice melts giving access to more oil. RBS is Europe’s biggest financier of fossil fuel exaction accounting for 3% of global carbon emission, greater than the UK total carbon emission. The People own the bank. They make the effort to recycle, walk not drive, use the car less, turn down the heating, insulate their homes, maybe not take that foreign holiday they were looking forward to, buy a greener car. All of which is to nought because of the actions of a bank that they own. You are currently browsing the Keithpp's Blog blog archives for August, 2010.